My story is not unique. Countless people have found solace in this network that is so much more than a TV channel. Robert’s wisdom, grace, and eloquence have seen us through hard times. We welcomed him into our living rooms, excitedly waiting to hear his thoughts on every film he introduced. Great idea, Barton. The Razor's Edge was another RO favorite. That film has already mentioned a few times on this thread. If any film may be pinpointed as his VERY favorite, this may be the one. It would be inexcusable for TCM not to show it as part of his tribute. I happened to be running an errand today when the RADIO CLASSICS CHANNEL on SIRIUS ran an interview the host Greg Bell did with Osborne back in 2014. It was an hour long and Robert knew about as much about the radio as he did movies, and he and the host (who did a great job) had a really nice back-and-forth banter. I looked for it on youtube to see if i could post it, but alas i could not. In an odd coincidence of timing, Phillips, previously a guest host on TCM in September 2016, was in Atlanta recording wraparounds for TCM when the news of Osborne's death was announced to the crew early on Monday morning. Phillips will be back for TCM each Friday night in April, presenting a series devoted to post-war melodramas. We love you Robert and will miss you. Such a classy, intelligent, and friendly man. He did so much for classic film, I was always so excited to hear him talk about the films being shown, he made me want to watch more! As a tribute to Osborne, "The Essentials" should be retired. It was on life support anyway. Agree. Osborne was essential to The Essentials. I wasnt talking about the Essentials. 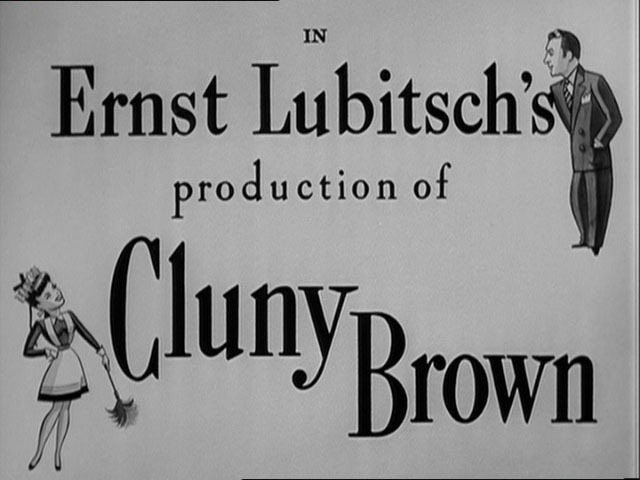 I was talking about Cluny Brown! I hope they arent grooming a certain female host as the next Essentials host. Pair Tiffany with Drew Barrymore, and they can discuss their shoes. I am deeply saddened to hear of Robert Osborne's death. My sympathies go out to his family, friends, and everyone at Turner Classic Movies. TCM has given me great solace over the past few years. Not just because of the timeless films but because of Robert Osborne. 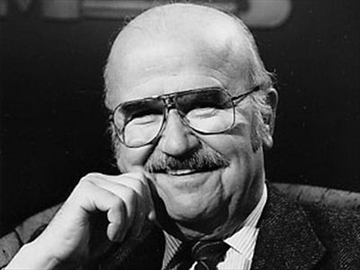 Tuning in each night was like visiting with an old friend who welcomed you with a hearty smile and warmed the room with his insurmountable knowledge of classic films. What a time it was. Thank you, Robert. You will be missed. I loved the introductory thing( I don't know what else to call it---the one that says "feature presentation") to all the films he introduced. Ir was never used for the films that Ben introduced. I assume that will not be used any more. Too bad. Forgive me if this has been posted here already, as I haven't read all the lovely memorials yet. I really enjoyed this radio interview of Robert Osborne by Alec Baldwin from 2012. God bless Robert Osborne! I've been a classic film fan since I was a kid in the late 1950s. When I discovered TCM, I was in movie heaven! His intros, his gracious and friendly manner - he was a true class act. He had respect for all film genres. Even when I had problems and sadness in my own life, Robert and TCM were there. Like everyone else, I will miss him very much and I imagine him in Heaven with all the great talent we've lost over the years (in front of and behind the cameras) having a wonderful time. RIP indeed, dear friend. Thank you to Robert Osborne for all those wonderful years of movies, and his keen love of them. There sure will be a LOT of us wanting to chat with him at the after-party! Thanks for posting this. I loved the 2 of them together on "The Essentials," as well as the 20-year celebration of RO's tenure at TCM. And both Alec + Robert have very different distinctive voices that I enjoy hearing. I've noticed that for the last few days TCM has been using that with Robert's name on it, which is a fitting tribute. It seems that intro was mainly a primetime thing. Losing Robert Osborne reminds me, as an Ontarian, of the movie host that I grew up with, Elwy Yost. He hosted a few movie presentations on television, most notably Saturday Night at the Movies from 1974 to 1999, a quarter century run. Elwy couldn't have been more of a contrast to Robert, being an agreeably chunky favourite uncle type of personality. But he shared with Robert a warmth in personality and never came across as a know-it-all. Having met the man once I can attest to the fact that he was EXACTLY the same unpretentious down to earth person as on screen. He asked me for my opinions about movies, rather than inflicting his own viewpoints upon me, just as, I understand, our Robert was when he met fans. Elwy also had a series of visits over the years to Hollywood, with a massive collection of interviews with stars, directors, what not, from the Hollywood Golden Age. I still recall the great chemistry he had with Greer Garson when he visited her on her New Mexico ranch. And I also recall how Otto Preminger was fascinated with Elwy's first name, causing the avuncular Yost to laugh because, yes, it is a pretty odd name. Elwy Yost died in 2011 but I understand he had been a huge fan of TCM. If he and Robert had ever met, they would have had so much in common, I'm sure. They were both nice guys who loved the movies, sharing that love of film with their faithful viewers. Not much I can add that hasn't been said already, but like so many of you, I feel compelled to say something. I've been watching TCM for 16 years, and Robert was always like a welcoming old friend, inviting me to reexamine an often-seen film from a different perspective or to try a new film. TCM has always been very understated and classy in its wraparounds. In a world where even the local evening news assaults your eyes and ears with swooping CGI effects and explosive, Dolbyesque sounds because their research apparently tells them that's what their audience wants, TCM is definitely a throwback to an earlier generation in that regard. It doesn't appear as if that will change. Ben will drop in a few more jokes on you (I LOL'd when he said, "Then the movie shows the next 20 years of Cleoptra's life ... in real time"), Robert is irreplaceable, of course, but I think Ben is a completely worthy successor, and he's been carrying the ball now for a while, anyway. A couple of months ago, I popped in an unlabeled VHS tape and found that some years back I had recorded a marathon of Lone Wolf movies from Columbia starring Warren William. I couldn't recall that I'd ever actually seen them. Just something I recorded on a given night in case I wanted to watch someday, then forgot about. Looking at Robert's appearance in those intros/outros, this might have been 10 years ago. Something that struck me as the films went on late into that night's programming, Robert kept right on providing wraparounds, I mean for the midnight, 1:30 am, 3 am airings. I'd forgotten that had ever been done on TCM. Now the prime time host introduces no more than three or four movies, and certainly anything run past midnight gets no introduction. The tribute programming looks a little overwhelming, and I'm not sure exactly thematically appropriate, as the focus will mostly be on celebrities and not on Robert himself, except for the spotlight on him and the interview of him by Alec Baldwin. I do remember the latter well. It was well-known that Gene Tierney was Robert's favorite actress, but I think Robert surprised us all when Baldwin asked him who his favorite actor was, and he replied William Holden. The answer so delighted Baldwin, he giggled like a little kid. Be sure to watch for that moment. I personally would have preferred some kind of compilation of clips of Robert's most interesting moments with some of his Essentials co-hosts and Guest Programmers. To rewatch some of his squabbles with Molly Haskell or Carrie Fisher or Sally Field, when one participant thought the film in question was an Essential and the other didn't, would be really fascinating. Or just great little moments, like Alec Baldwin imitating the guy missing the finger from, I think, Saboteur, or I don't know, one of the early Hitchcock's, and Robert laughing uproariously at the impersonation. I suppose this would have taken a lot of time and effort to assemble, rather than just regurgitating long-ago recorded programs, and maybe TCM doesn't really have the budget to put something like that together. Not sure. Even the tribute running between movies is just a rerun. Well, when I start gettting nitpicky, I guess that means I'm veering away from my original intent. So, I'll just close by saying Robert was one of the all-time reliable TV host presences in my life, right up there with Walter Cronkite, Johnny Carson, David Letterman, Larry King, I would say even Jon Stewart to some extent. Someone who did it so well for so long, you take them for granted, until they're not there anymore. Robert Osborne was my hero. No one in the world inspired my love of movies quite like he did, with his folksy, knowledgeable, all-encompassing passion and love for films. I’m now an uber-fan of all things old (not always classic) Hollywood, from the glossiest, all-star, big budget, Technicolor extravaganzas of MGM to the shoddiest, no-talent, shoestring budget, Poverty Row oaters made by Victor Adamson, and, in large part, I have Mr. Osborne to thank for that. I first discovered him around 1994, when my mom got satellite TV; and I got to enjoy and learn from him for more than 20 years! When people asked me what I wanted to be when I grew up, I didn’t say a doctor or a lawyer; I said Robert Osborne. Talk about the ultimate dream job! Even though I never got to meet him in person, I will certainly miss him… Thanks for the memories and all those wonderful intros I have on tape! Just wanted to add my thoughts to all of the other thoughts that have been so beautifully expressed. I came to classic movies late in life. I had been going through an unhappy time – not the worst time of my life but certainly not all that great. I was laying on my couch channel surfing when I came across The Grapes of Wrath (1940) on TCM. The film had just begun and I was drawn into it. I was bawling like a baby at the end of the movie but not so much that I didn’t cling to every word that Robert Osborne had to say. On that particular night, he focused on Jane Darwell’s Academy Award-winning performance. Next thing I knew I was Googling Jane Darwell and the rest is (film) history. I began then and there giving myself an education in classic film courtesy of the Master -- Robert Osborne. I have never in my life seen a TV personality so warm, wise and charming. I couldn’t wait to get home after work, get the chores done, and make myself something to eat just in time to sit down with my teacher and friend, Robert, for “film class”. As I developed more knowledge about the actors, directors, editors, composer, etc. I started reading books about them. And the quest for learning as much as I can about classic film continues. Robert Osborne is responsible for making me a student of the cinematic art form. And, for that, I will always be grateful.